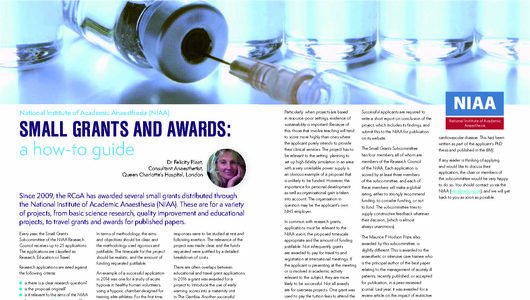 Dr Felicty Plaat has penned a 'How-To' Guide on the NIAA Small Grants and Awards for the July 2017 edition of the RCoA Bulletin. We recommend everyone interested in applying for a NIAA Small Grant or other Award peruse the article. 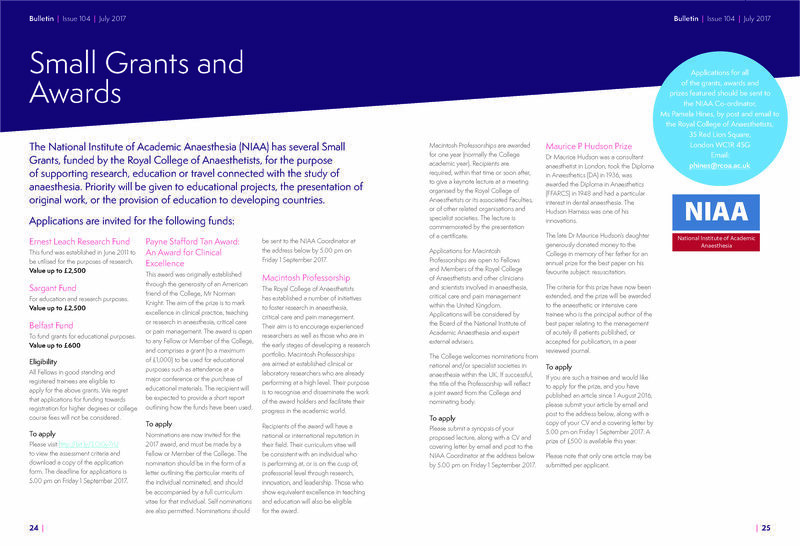 The Bulletin piece also include a section on forthcoming NIAA grant opportunities. You can find more information about this on our of the Current Opportunities page.